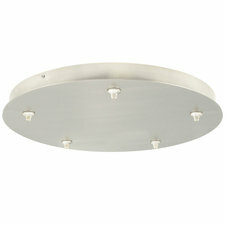 Finding the perfect fixture can be an artform – let us light the way. Tools, tips and ideas to help you along the way. What you need to know when shopping for a chandelier. Determine which size chandelier is right for your space. Stylish rooms and lighting ideas for your next project. Chandeliers and pendants are a great way to transform a space and create an inviting atmosphere. 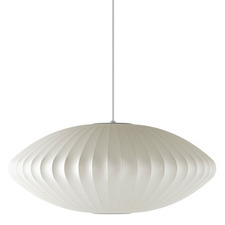 Traditionally, the distinctions between chandeliers and pendant lights were quite clear. A traditional chandelier houses multiple light sources, usually arranged in a branch-like system. 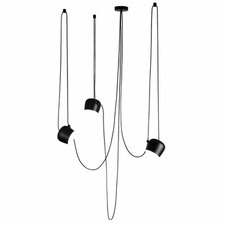 Traditional pendants typically suspend a single light source or cluster of lights from a single cord or chain. LED lighting technology and modern design all but throw those rules out the window, often blurring the lines between modern chandeliers and pendant lighting. The truth is that a variety of different chandeliers, pendants and suspensions could look great in a given room, depending on the look you want. 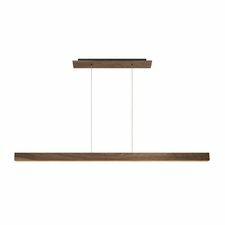 For example, a chandelier, pendant, multi-light pendant or linear suspension would all look great as lights for dining room tables. 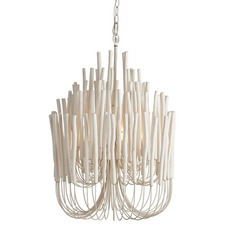 Whether you're looking for decorative dining room lighting, entryway lights, lights for a kitchen island, hotel lighting or lighting for any other space, there are chandeliers and pendants to suit your needs. 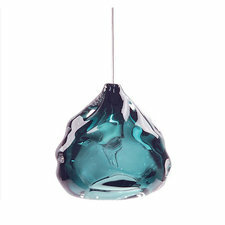 Just remember that pendants and chandeliers for bathrooms need to be damp- or wet-rated to withstand moisture. From designer light fixtures to approachable designs, from classic crystal chandeliers to minimal, modern pendants, our selection of chandelier and pendant lighting brings personality and style to any room. 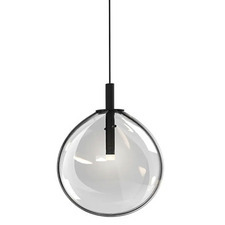 Browse a wide variety of styles, shapes, sizes, finishes and colors from top lighting brands like Tech Lighting, Edge Lighting, Foscarini and more. Use our Chandelier Size Calculator to help determine the right chandelier size for you. If you have any questions or need help picking your chandeliers or pendant lighting, contact one of our expert lighting assistants. We're more than happy to help!